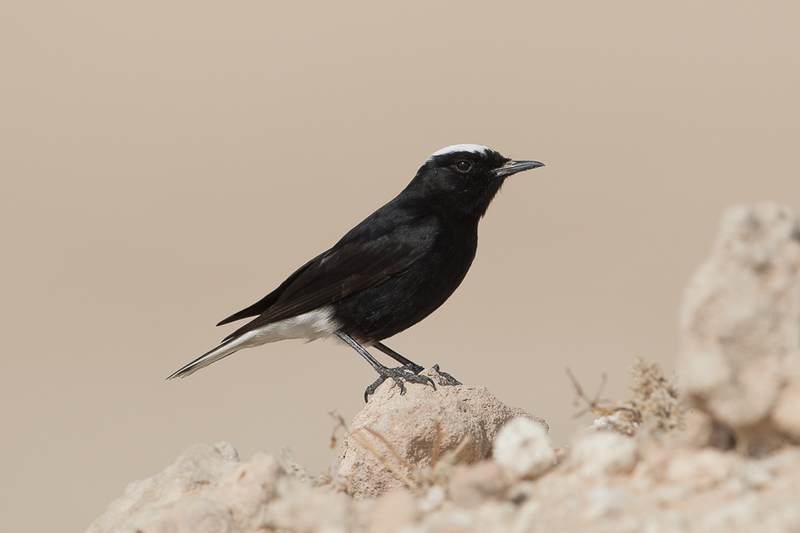 A very early morning trip to Jebal Hamrah turned up plenty of White-crowned Wheatear Oenanthe leucopyga. The birds preferred areas near to the steep cliff faces and as we arrived at dawn it was not too hot so we had a walk around some likely looking areas seeing quite a few and many more whilst driving along the edge of the escarpment. Their song and calls are very distinctive and makes them relatively easy to find. 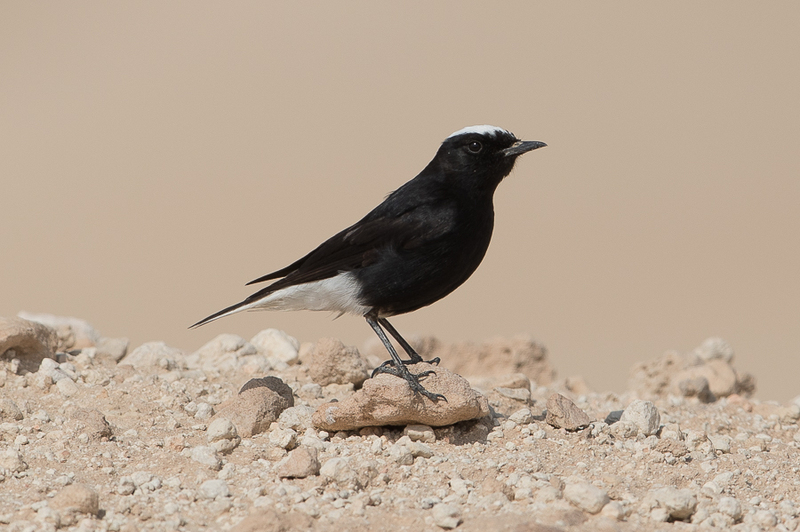 They are a locally common breeding resident in dry rocky areas of Saudi Arabia and occur from the Hejaz north from Taif, Northern Hejaz, Asir south of Soudah and Najran, Tuwaiq escarpment and locally in the Gulf in areas like Shedgum escarpment and Jebal Hamrah. Also Jauf, Hail and Dawadimi.